The team came up with the XO, a small, power-efficient networking computer that is technically unbeatable for its purpose, generating a whole collection of patents that the individual developers assigned to the project. The “green machine” is also protected against abuse by its design: Negroponte explained when he presented it at TED in 2006 that they wanted to produce something that no-one would be able to steal, a little like white Volvos in Italy. Then they set up the “Give One Get One” special drive for people in rich countries to buy two laptops and donate one of them to a child in a poor country. Unfortunately, the project which started out so full of hope has run into major snags. First of all, the special drive, which ended on December 31st, generated far lower sales than expected, which has thrown the financial setup into a tailspin. Secondly, the project partners have started to leave the ship. His CTO, Mary Lou Jepsen, the brains behind the self-refreshing XO display, is leaving to set up her own for-profit company to commercialize the technologies she developed in the publicly subsidized, non-profit OLPC project. And finally, Intel announced that it is backing out of its co-operation, refusing to comply with Negroponte’s demand that Intel abandon its own Classmate PC, which competes with the XO. Vision and development meet capitalism. Game over? Many people in the open source community, including Christian, who first pointed out to me that Jepsen had resigned, seem to think so. But what exactly is the game, and are the defecting project partners really backstabbers, tax-stealers, fallen angels? We don’t know enough. How are the patent rights set up? Is Jepson just cashing in on the project or does she have other motives? How solid was the co-operation with Intel in the first place? 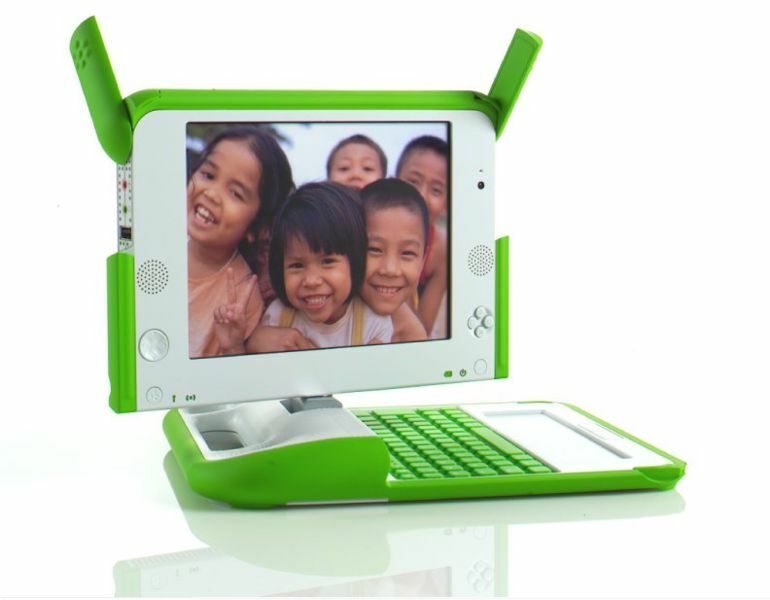 Back in 2006 my alert English students at the LMU’s FFP cast a cool eye on OLPC, and their reaction was: IT projects, even if they are declared educational projects, will turn out IT products and will follow that market. Systems reproduce themselves. If children in the third world profit from the project, it will be purely by accident, they said. This turn of events, to them, would come as no surprise. Has Negroponte, the guru, stumbled over his own hubris, neglecting the legal aspects of patent rights, foolishly trusting in altruistic personal commitment? Let’s be hopeful: Two are down, but the XO is still there. Perhaps the game isn’t over yet. “Constructionism is simply the idea of learning by doing… (and it) is at our very roots.” He looked thin and tired, but still in fighting form, and he had some good news. Hoping for more.